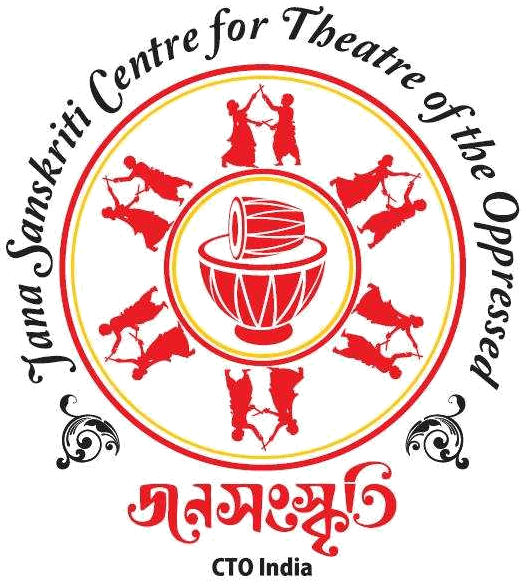 In 2017 Jana Sanskriti was awarded an Ibsen Scholarship for their project Nora questions patriarchy in Bengal. Registrations open for Muktadhara VIII : 8 - 22 December 2018. Write to muktadhara.janasanskriti@gmail.com for details. In order to construct a relationship with others, this website is created. Relation means freedom, therefore relation means construction of power. Dialogue in a relation creates pedagogy where we learn together and the same relation inspires us to go for an inward journey where we discover ourselves. This discovery is what is called an internal revolution, which inspires an external revolution. Our theatre, discovered by Augusto Boal is therefore the rehearsal and the performance of a total revolution. We may have our ideology but one has not to be the slave of an ideology. Dogma cannot create the relation. Let us debate not to destroy the ideas of others but to understand others and ourselves. All of us want to evolve and grow with the objective of constructing a human society. I think that this is a very important book. Anyone who wants to understand the usefulness of Boal’s work and its possibilities, especially when removed from Boal’s own projects and from its implementation in a first world context, needs to pay attention to SanjoyGanguly and Jana Sanskriti. The necessity of theatre to form a space for the joy of thinking through symbols and rituals with energetic “debate and discussion before taking political action” adds a much needed elaboration of Theatre of the Oppressed to 21st Century theatre forms. Freire,Fanon and Ganguly all received formal education from Western, colonially inspired academe, but they went on to reject the elitist model it propagates, and to argue for a completely different base of experiential learning as the basis for promoting analytic thought and human liberation.